Egypt’s presidential election, the country's first after the ouster of Hosni Mubarak, have been described as “free and fair.” But along with optimistic reports, some witnesses say candidates are blackmailing and bribing poor Egyptians with food. 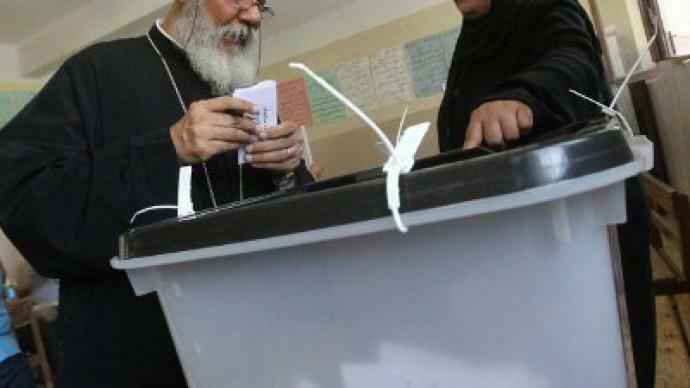 ­People in the Nile Delta are being offered bribes of a few dollars and meal to vote for Amr Moussa and other candidates, RT’s correspondent Paula Slier reported from Cairo. The Muslim Brotherhood has reportedly been handing out pamphlets and blaring messages from car speakers telling people to vote for them, or risk not going to heaven, she added. On the first day of the election, top presidential candidates Mohammed Morsi, from the Muslim Brotherhood’s, and Ahmed Shafiq, Mubarak’s last prime minister, have been seen outside polling stations in different districts around Cairo, calling for Egyptians to vote for them. 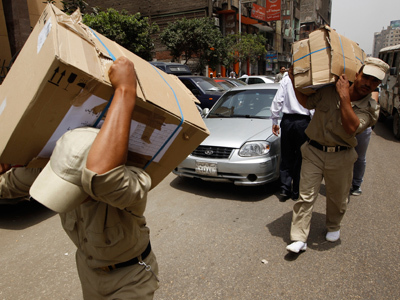 The Egyptian Organization for Human Rights (EOHR), the main coordinator of the Egyptian Federation for Election Observation, stated that these activities are considered electoral violations. In accordance with the law, the electoral campaigns start three weeks before election day and end two days before it. 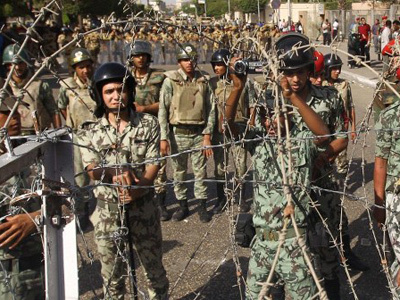 Meanwhile, the first day also saw violent fights between voters, with one policeman shot dead in Cairo. 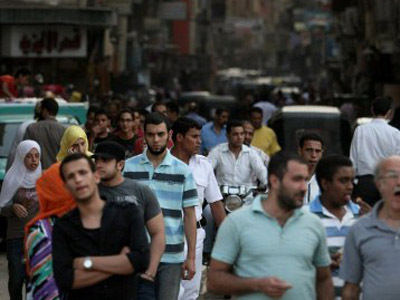 Another person was injured in a fight in the northeastern Cairo district of Rod al-Farag. ­Egypt’s presidential poll is being overseen by 1,600 international observers and more than a nine thousands volunteers from 60 local groups. But aside from violations, many Egyptians consider this day to be a date to remember – as they believe this election will open a new chapter in the country's history. "The turnout is enormous and more than expected," said Election Commission Secretary General Hatem Begatu. ­The atmosphere at polling stations around Cairo has been described as festive and relaxed. People cheered presidential candidates who were joining the public queueing at polling stations. ­Four presidential hopefuls have already been tipped as frontrunners. The list of top candidates includes Amr Moussa, who served as foreign minister under Mubarak, as well as Ahmed Shafiq, who was Mubarak’s last prime minister and served as the civil aviation minister. It also includes Mohammed Morsi, the Muslim Brotherhood’s candidate, and Abdel-Moneim Abolfotoh, a moderate Islamist who was expelled from the Muslim Brotherhood for his decision to run in the presidential race. The ruling military council has called on people to accept the results of the election, which are expected to be verified by May 29. More than 50 million Egyptians are choosing their new president from a list of 13 candidates. ­In case none of those 13 secures a clear majority in the two-day election, a runoff will be held on June 16 and 17. Egyptians vote for new leader: Islamist or Mubarak crony?